Bald Eagles’ numbers in Maine have increased by 16 percent in the last five years, according to state wildlife biologists. Maine Department of Inland Fisheries and Wildlife endangered species coordinator Charlie Todd says eagle increases have been documented in all 16 counties, and are particularly strong down east in Washington and Hancock Counties. Todd says Maine is a good habitat for Bald Eagles, with lots of nearby water for the fish eating birds and plenty of trees for nesting. 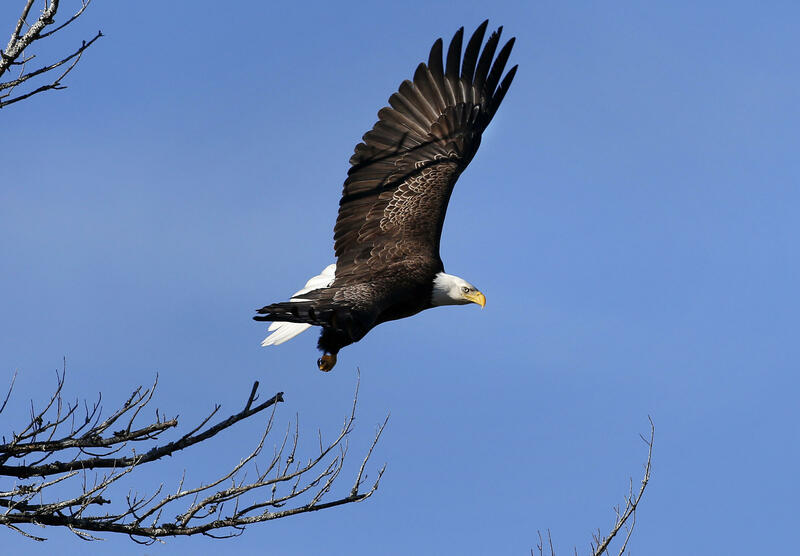 Ravaged by the effects of DDT, bald eagle numbers in Maine plummeted after World War II. Biologists say the low point occurred in 1967 when only 21 nesting pairs were found in Maine. This year's aerial survey found 733 nesting pairs.